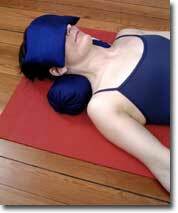 Silk Eye Pillow to Help Relax during Yoga and Meditation. Reduce stress and soothe your eyes with our calming Silk Eye Pillow. 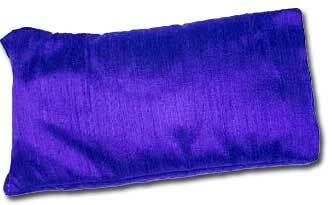 Filled with organic flaxseed, this therapeutic eye pillow's gentle, stress-soothing pressure will help you relax, and relieve headaches. The sensual silk is breathable, luxuriously comfortable and cool. 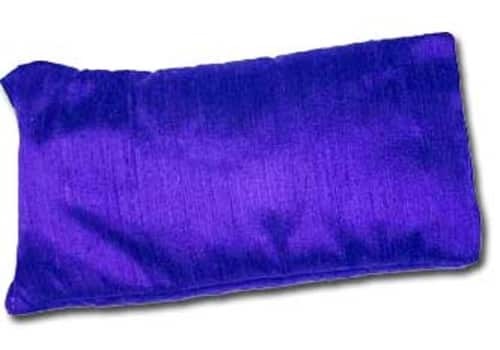 Use while resting, taking a break from work, meditating or before going to bed for soothing calmness. Colors: purple, navy blue and black.